Add your unique wording to our pre-designed sign. 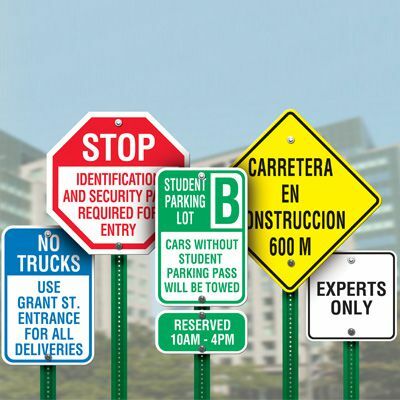 Signs are available in 18 sizes and two materials: aluminum and polyethylene. Choose from a yellow or white background color and 4 lettering colors. Your choice of reflective or non-reflective signs.